Against a very distant seemingly "fixed star" background, any relatively nearby star will display an apparent movement as the Earth makes its yearly orbital transit about the Sun. This apparent movement produces an angle of perception called "angle of Parallax" which is used to measure the distance to the star from Earth. 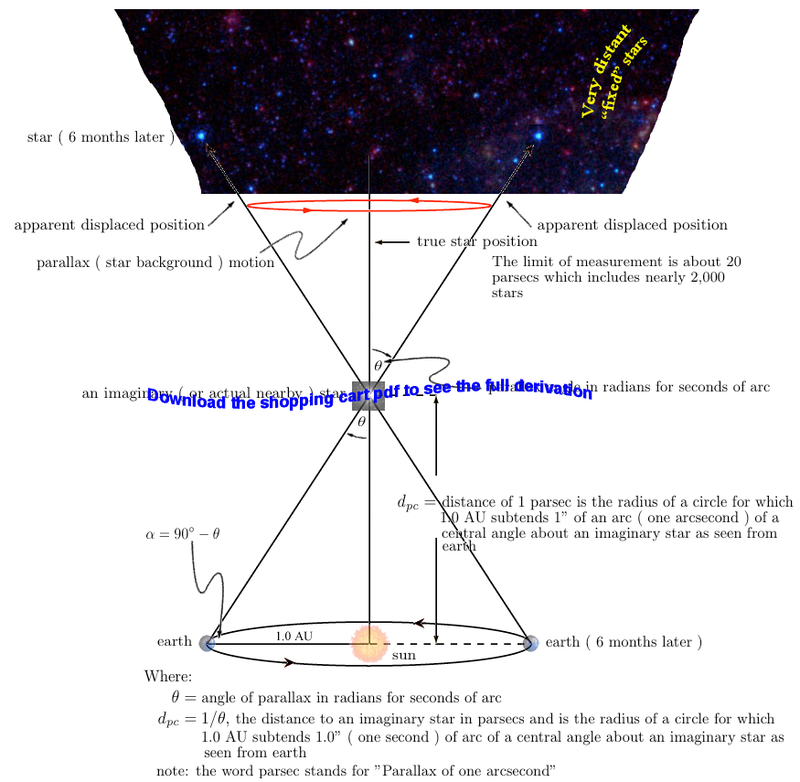 The Method of Parallax for determining astronomical distances to nearby stars is therefore a heliocentric method. This phenomenon is similar as to when an object is held at arm's length and seems to move against a more distant background as each eye is opened and closed. However at extreme distances the angle of Parallax becomes infinitesimally small and hence unusable. More specifically why Parallax? The Earth - Sun distance AU had been a constant astronomical question since the time of Aristarchus ( 310 - 230 B.C. ), Samos - Alexandria, who provided the first estimate and who also preceded Copernicus in proposing a Sun - centered heliocentric universe. 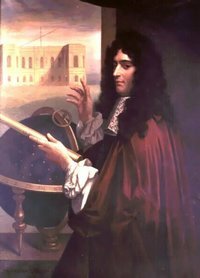 The first actual measurement of AU is usually credited to Giovanni Domenico Cassini ( 1625 - 1712 ) in 1672 by simultaneous parallax measurements of Mars from Paris where he remained with astronomer and Jesuit priest Jean Picard ( 1620 - 1682, Mesure de la Terre, published 1671 ) in the newly built Paris Observatory for The French Academy of Sciences and by astronomer and colleague Jean Richer ( 1630 - 1696, Observations Astronomiques et Physiques Faites en L'Isle de Caïenne par M. Richer, de l'Academie Royale des Sciences, published 1679 having returned from Cayenne in 1673 to great acclaim and success ) whom he sent to the French colony at Cayenne, French Guiana on the northern coast of South America, 5° latitude north of the equator, for observations and measurements during Mars's perihelic opposition or closest perigee approach to Earth appearing as a bright red star. This latter observation was instigated by John Flamsteed ( England, 1646 - 1719 ), First Astronomer Royal or "The King's Astronomical Observator" by 1675 royal warrant, who predicted that on the first of October, 1672, there would be an historic perihelic opposition ( Mars at perigee ) alignment of Mars passing in front of the middle Psi star, one of several nearby little stars, in the constellation Aquarius and hence there'd be this extraordinarily rare straight line alignment of Sun - Earth - Mars offering a grand opportunity to calculate the solar Astronomical Unit between Earth and the Sun. Naturally by the 1670s there had already been considerable advances in telescopic fabrications since the time of Galileo ( 1564 - 1642 ) with the advent of micrometer eyepieces with precisely adjustable cross - hairs in order to have made possible Cassini's major astronomical breakthrough in determining AU, the Astronomical Unit. Knowing the distance between Paris and Cayenne as approximately 7,200 km ( 4,500 miles ) [ how did Cassini know the Paris - Cayenne distance? ] and then employing the relative AUs [ not absolute ] of Johannes Kepler ( 1571 - 1630 ) who in turn enlisted the earlier solar data marshaled by Tycho Brahe ( 1546 - 1601 ), Cassini determined a parallax of 9.5 arc second for AU where the correct modern version is 8.8 arc second. 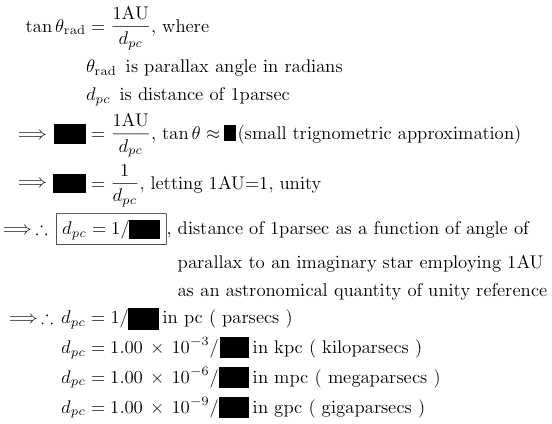 Hence, Cassini's indirect determination of solar AU by way of Mars's parallax was d = 1/9.5 or 0.1052631 parsec instead of true d = 1/8.8 or 0.1136363 parsec, an error of only 7%!! 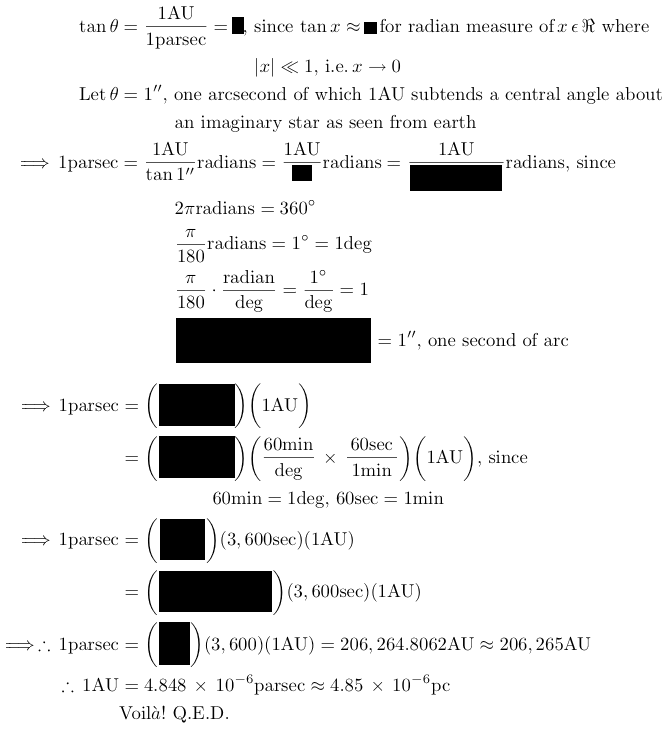 The actual km for AU will be derived in another panel using some of Cassini's parallax mathematics. Interestingly however, Danish Olaf (Ole) Roëmer ( 1644 - 1710 ) working with Cassini at the Paris Observatory in December, 1676, published the first actual calculation for the speed of light based upon Cassini's own AU calculation and speculation that light travels with a finite speed.